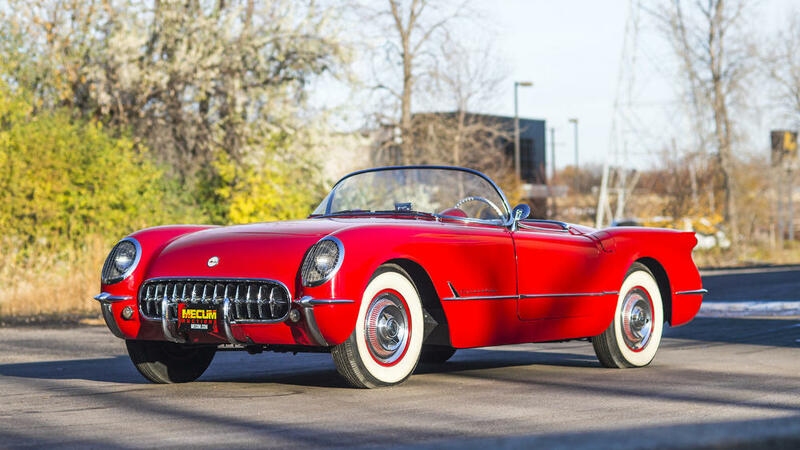 Mecum’s Kissimmee 2017 auction features some 3000 cars including American muscle cars, vintage drag racing cars and classic Corvettes. This is the largest collector cars auction in the world. The ten-day auction includes cars, art and automobilia. American classics, muscle cars and drag racing cars are highlights of the Kissimmee auction. While the world’s other top classic car auction houses are preparing for the major Scottsdale, Arizona, sales in mid January 2017, Mecum Auctions will already be selling cars at Kissimmee, Florida. Mecum’s Kissimmee sales are held from January 2017 at Osceola Heritage Park in Kissimmee, Florida, USA. Mecum loves to claim, “Nobody sells more than Mecum. Nobody” and thus offers 3,000 collector cars at Kissimmee alone – more than all auction houses will try to sell at Scottsdale a week later. In 2016, Mecum offered over 3,000 cars at Kissimmee and earned over $91 million with a sell-through rate of 78%. In contrast to other classic car auctions, where European sports car brands such as Ferrari are usually the top results, Mecum sold four early 1970s American muscle cars in 2016 for over a million dollar including a 1970 Plymouth Hemi Cuda Convertible for $3 million. Ferraris and Porsches will be on offer at Kissimmee too but it is the American classics that are the more interesting cars at this sale. These will include nearly a dozen large private collections from various automobile enthusiasts including including Don Garlits, Don Fezell, Jackie and Gary Runyon, as well as select vehicles from the Wellborn Musclecar Museum. A 72-car offering from the Bobby Williams Collection will start off the Mecum Kissimmee 2017 sale on Sunday, Jan. 8. All cars from this collection are offered at no reserve. Williams’ collection features a vast and impressive variety of mostly American-made cars, ranging from early 20th-century Fords and Buicks to ‘70s Mopar muscle cars. Williams has never limited his collection to any specific year, make or model, but instead has sought out vehicles that remain as they were when new. Cars from the Bobby Williams’ Collection includes numerous hot commodities, such as a 1954 Chevrolet Corvette Roadster (Lot L64.1) with the 235 cubic-inch Blue Flame Six engine, one of only 3,640 produced in 1954, a 1907 Cadillac Model K (Lot L72.1) and two 1970 Plymouth Superbirds (Lots L84 and L92). A shining definition of a collector, Bobby Williams, 79, started collecting cars more than 20 years ago after attending a car auction with a friend. Having maxed out his storage space, Williams is now clearing out his collection, offering it up to other collectors. Drag racing enthusiasts have lots to look forward to at Mecum Auctions’ Kissimmee 2017 classic and collector-car auction. Some of the most significant early muscle cars and vintage drag cars ever publicly offered—hailing from the collections of Don Fezell and Jackie and Gary Runyon—will make their mark by crossing the auction block among the headlining vehicles. The Lifelong Collection of Don Fezell includes 43 high-quality collector cars, among them an amazing quartet of Chevrolet Impala Z11 lightweight drag racers—one that features the most famous Z11 ever built: the Bill “Grumpy” Jenkins-prepared “Old Reliable IV” (Lot S103). The Fezell lineup also includes a trio of 1968 Ford Mustang Cobra Jet Lightweights (Lots S119, S120 and S120.1), of which only 51 were ever produced for drag racing. Fezell has amassed a collection of such magnitude that to replicate it today would be very difficult, if not impossible. Names like Jenkins, as well as Dave Strickler, Phil Bonner, Ed Miller and Bud Faubel, classes like A/FX, S/S and A/MP, plus engines like Z11, Hemi and Cobra Jet, are all legendary, and all hold a place in this collection. The majority of Fezell’s vehicles have been unobtainable to collectors for more than 20 years, making this opportunity unprecedented. To top it off, Fezell has one the greatest collections of performance and lightweight collector-car parts ranging from largely unobtainable factory aluminum body parts to rare engine assemblies and nearly everything in between. This amazing collection of parts and engines will cross the block Jan. 12-14, with the cars all crossing the block on Saturday, Jan. 14. Former USAC midget, sprint and Silver Crown race-car owner Gary Runyon and his wife Jackie have each had a lifelong passion for automobiles. Today, along with their grown children, the Runyon’s are better known in the Indianapolis area as owners and operators of Runyon Equipment Rental and Runyon Surface Prep, but they’ve always maintained an active role in collecting. Two of the most significant cars set to cross the block in Kissimmee from their extensive and impressive collection are the Lee Smith rare altered-wheelbase 1965 Plymouth Belvedere A/FX Haulin Hemi II (Lot F107) and the 1963 Pontiac Catalina Swiss Cheese (Lot F108) that was sponsored by America’s Largest Pontiac Dealer—Packer Pontiac of Detroit. With nearly 50 cars from the Runyon Collection set to cross the auction block Friday, Jan. 13, it is an extraordinary opportunity to own a car that has been thoroughly vetted by one of the most passionate people in the collector-car hobby. The Fezell and Runyon cars are only the tip of the iceberg of significant drag-racing examples on offer at Kissimmee, as shown by the Dale Reed Collection’s Bob Glidden-driven 1968 Ford Mustang Race Car (Lot T132), the Don Grotheer-driven 1968 Plymouth Barracuda BO29 Super Stock (Lot S172) and the Max Sterling-raced NHRA Springnationals-winning 1962 Pontiac Super Duty White Lightning (Lot S248).